Testimony to our Watch List (H2W) is one of the highest priced winners we supplied TwinSpires harness fans in 2011. It came just under the wire, on Dec. 28. Racing after a loss on the list, Aliquippa returned to win and pay $91.60 at Northfield. Followers of horses on the H2W that we supply (remember you need to start your own list), should back our suggestions twice after they appear on a list. 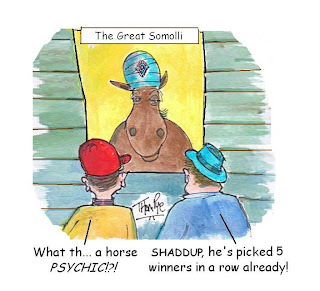 As is the case with Aliquippa, the public forgets to give a horse like this credit for certain trips that, although they produce losses, are signs of a horse that deserves to be a contender. 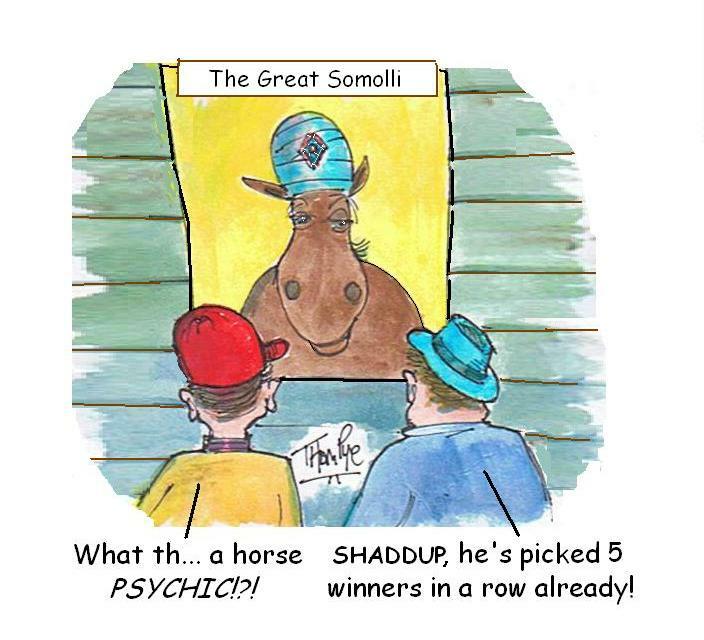 Add to that our method of playing the top valued horses from our contenders—4-1 and up, mostly, and you can sensationalize on mighty prices. It’s important to note that Aliquippa did not win based on opportunity; the failure of the public choice was not the best possible contender. 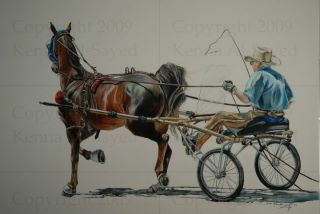 The public was backing driver Dan Noble more than the horse, since he was in a tight national driver’s battle with George Brennan for the sport’s championship. As we suggested, playing against Noble was the smart move, as many of his horses would be underlays. So using both tactics, we scored big. At Cal Expo on New Year’s Eve we mustered only one winner in the no-takeout Pick 4, with one third and one second. In the last leg, Shoot The Works paid $5. The third leg was the one that could have supplied the win bet to make the exotic play profitable at all but our single, TJ Beach Poker finished second at 22-1. From the Cal-Expo H2W, Mr Me won at $5.60. From the Dover H2W, no one was fooled whtn Battleship Kelly returned to win; he paid $3.40. Schedules for many tracks racing in 2012 have been announced. There’s a lot of action in store. Here are some dates and information you may wish to print and keep at hand. Monticello Raceway offers 207 racing dates in its 2012 racing season, which has begun. After Jan. 6 the programs go Monday, Tuesday, Wednesday and Thursday throughout the month with just one exception, Jan. 16, when the track is dark. Post times in January are generally 12:25 p.m.
Chester Downs is committing to a 150-day live racing schedule, divided into two meets, for 2012. The 109-day Spring-Summer meet is from March 9 through Sept. 14 on a Wednesday-Thursday-Friday-Sunday schedule. First post will generally be 12:40 p.m.
Additional days of racing are scheduled for May 5 (Kentucky Derby), May 28 (Memorial Day) and Sept. 3 (Labor Day). Chester will be dark on Easter Sunday, April 8 along with May 6 and Sept. 9. Then there is a three-week break before the 41-day autumn meet starts on Oct. 7, maintaining a Wednesday-Thursday-Friday-Sunday schedule through the month. In November and December, a Sunday-Wednesday schedule ensues until closing day, Dec. 19. Also from Pennsylvania, The Meadows features 208 cards, going 50 weeks in 2012, dark only Thanksgiving and Christmas weeks. Generally, the track will stage four cards a week, with Monday and Tuesday programs beginning at 12:55 p.m. and Wednesday and Friday cards underway at 6:55 p.m. In July-August, the Meadows adds five-consecutive Saturday cards, including Adios eliminations the evening of July 21 and the Adios Final, headlining a stakes-filled July 28 afternoon. The munificent action at Yonkers Raceway includes 238 programs, each starting at 7:10 p.m. The long run through the four seasons starts on Jan. 13. After Jan. 14 the show goes five day per week, with Wednesdays and Sundays dark. There is a hiatus from June 2 through June 15. The season then goes until Dec. 22. Up The Credit, winner of the 2011 North America Cup, and a fighting member of the talented sophomore-pacing crop this past season, had been retired to stud, to stand in Canada. But his connections have announced that Up The Credit will also be racing. Up The Credit will be conditioned by Ontario trainer Mark Horner as he competes in the older-pacing division (four-year-olds and up) He will maintain the customary collection schedule beginning Feb. 13. A new era of racing at the Meadowlands began last week when horses took to the track for the first time since new lessee Jeff Gural took over operations. The track moved from public to private ownership as Gural inked a 31-year lease with the State of New Jersey to operate the Meadowlands. Twenty qualifiers were held to support the start of the 2012 harness meet on Friday, Jan. 6. Pacers and trotters took the first trips over the newly banked track surface. Grading was restored to the track this fall in order to spur more competitive racing. Some other veteran drivers agreed and a few held back comments, wanting to wait until after some programs to judge. The back paddock also underwent a transformation this fall as gates were added and walls were raised in each race stall to eliminate the need for a receiving barn. We will be covering the aspects of changes for handicappers and bettors as the new era at the Meadowlands ensues. very nice blog!I’m an instant fan, I have bookmarked you and I’ll be checking back on a regular.See u.